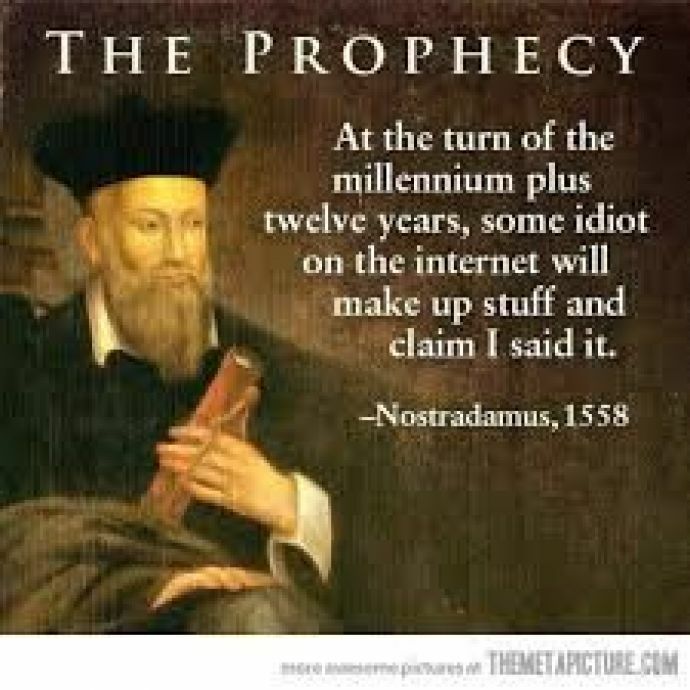 Nostradamus Did NOT Prophesy The Rise Of Narendra Modi. Nope. Even a section of the media seems to have forgotten that verification of information is a thing. The world outdoes itself with the fabrication of news to suit political agenda. And wise ol' Nostradamus is a convenient scapegoat every time a myth based on wobbly ground needs fortification. 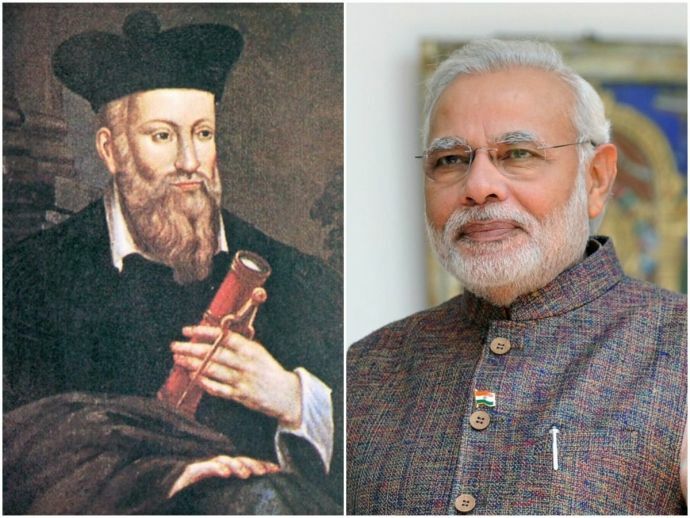 This time, the 16th century French physician and astrological consultant- who reportedly predicted the rise of Hitler, the 2002 tsunami and 9/11 attacks- also prophesied the rise of India as a Hindu nation, led by current PM Narendra Modi. 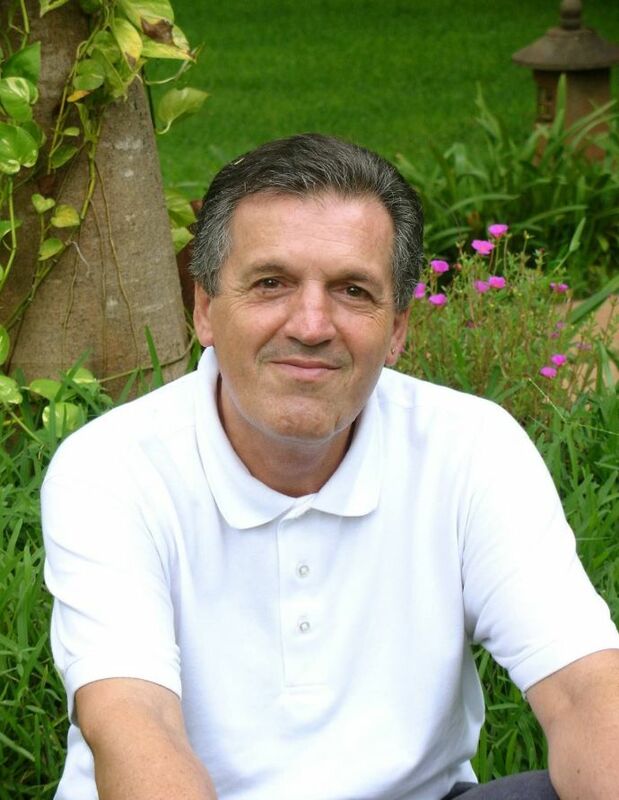 Thanks to a good bit of research by Alt News, we came to know that the mysterious source of information that Monsieur Gautier so often refers to, an old trunk containing Nostradamus manuscripts, is magical in nature. Its contents keep changing based on the political situation of the moment, and the investigative piece by TNL offers at least three instances where information has been distorted. The BJP will have three pillars: AB Vajpayee, LK Advani and Murli Manohar Joshi. As eventually, Vajpayee will no longer have an active life, Advani will become the leader. MM Joshi, who hoisted the Indian flag in Srinagar, will be his number two. With this shift of power from Murli Manohar Joshi to Narendra Modi, we see that not only was Nostradamus an exceptionally gifted seer in his time, but he continues to wield his influence from the afterlife as well. While we respect the right of every individual to subscribe to whichever branch of knowledge or belief system they please, putting information guised as 'facts' in black and white is highly problematic- more so when it comes from a public figure. It distorts the truth, which is elusive as is, and serve the interests of one group, often at the expense of another. In an era where messages received via social media are enough to generate paranoia or mould public opinion, without being subjected to as much as a simple Google cross-check, such information is the true weapon of mass destruction. The fabrication of this information nowadays is systematic, and people like Monsieur Gautier add to this corpus. We live in times when we fail to perceive men for what they are, and treat them as either messiahs or the Devil incarnate. There are no in-betweens. Our failure to subject all public figures to unbiased scrutiny- acknowledging the good and censuring the undesirable in all people regardless of their political affiliation or position- is evidence of the real intolerance within us. 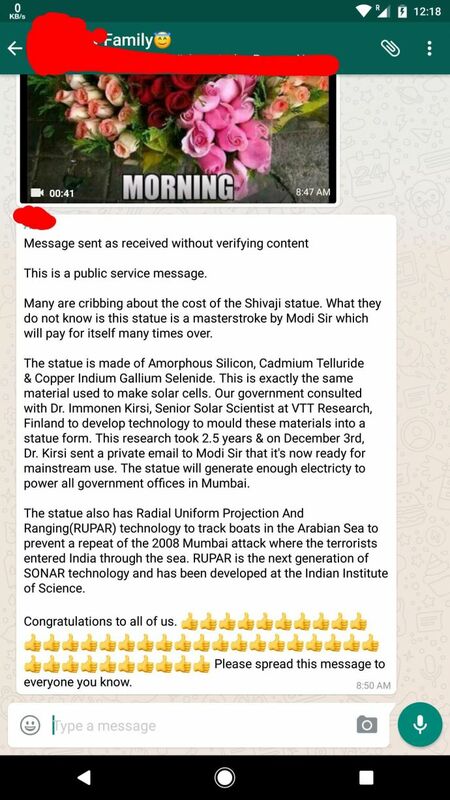 So the next time you receive such a WhatsApp forward that proclaims such-and-such person as a demi-god among men with straightforward answers to all humankind's problems, think again.